Explanation: How did Epimetheus form? No one is yet sure. To help answer that question, this small moon has recently been imaged again in great detail by the robot spacecraft Cassini now orbiting Saturn. 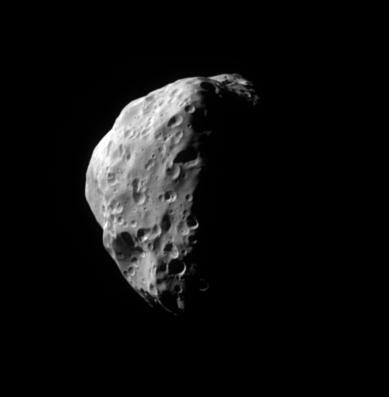 Epimetheus sometimes orbits Saturn in front of Janus, another small satellite, but sometimes behind. The above false-color image, taken during mid July, shows a surface covered with craters indicating great age. 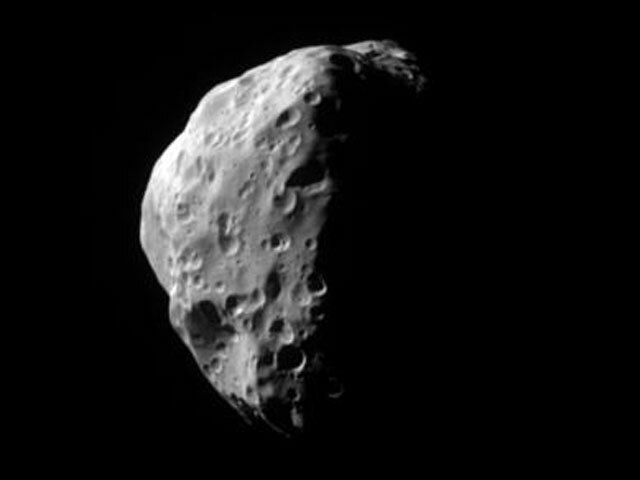 Epimetheus spans about 115 kilometers across. Epimetheus does not have enough surface gravity to restructure itself into a sphere.